Our state-of-the art SCR catalyst manufacturing facilities are located in Durham, North Carolina and Cleveland, Tennessee. Our high-tech and flexible manufacturing processes are among the best in the world and is ISO 9001-2008 certified. With superior engineering, experience and innovation, we provide customers with proven catalyst solutions for NOx emission control. Located near Research Triangle Park in Durham, NC, this plant specializes in research and development. This 70,000 square feet plant can meet special orders for customized environmental solutions with short lead times. Our state-of-the-art laboratory can test full sized catalysts for performance characterization. We also perform chemical and physical tests to obtain data that will enhance our ability to custom design catalyst management plans. 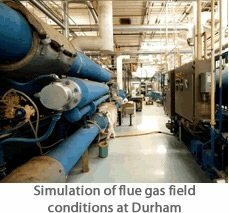 Our laboratory equipment simulates flue gas field conditions for gas and coal applications in our pilot reactors. 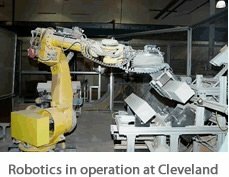 Located in eastern Tennessee, near Chattanooga, the 120,000 square feet Cleveland manufacturing plant specializes in catalyst manufacturing for coal and Fluid Catalytic Cracking (FCC) applications. Our precision controlled forming and heat treat processes assure high quality products. High-speed robotics coupled with computer databases provide ergonomically friendly product handling with error free material tracking. With two versatile world-class manufacturing plants and the knowledge of our staff, CORMETECH is uniquely positioned to support the growing catalyst needs of the global market. Located about 30 miles west of Charlotte, NC, this plant performs the patented and state-of-the-art regeneration process. The facility is about 250,000 square feet and enables CORMETECH to run two productions lines concurrently. Both lines are designed to be able to run highly customized regeneration processes that satisfy customer requirements for catalyst with refreshed DeNOx activity and SO2/SO3 conversion rates for improved SCR reactor potential after an outage. To fulfill our customers need for storage of catalyst between outages, the Kings Mountain regeneration plant is supported by numerous warehouses with a capacity of around 20,000 modules. Located in the south of Charlotte, NC, this plant houses one of our state-of-the-art laboratories that can test full sized catalysts for performance characterization. We also perform chemical and physical tests to obtain data that will enhance our ability to custom design catalyst management plans.